Supported by the Royal Netherlands Embassy in Ethiopia, Wetland Action partner EWNRA (Ethio Wetlands and Natural Resources Association) has undertaken a programme of wetland awareness and training on sustainable wetland management in the West of Illubabor Zone, South-west Ethiopia. This especially looks at the contribution of wetlands for food security. 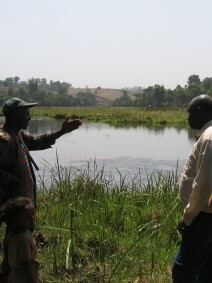 Between 2005 and 2008 EWNRA’s Wichi Integrated Wetland and Watershed Natural Resources Management Project aimed to build capacity within local communities to manage wetlands and catchments sustainably.